← A list of Linux – Operating system Exams and Study Guides. One of the really cool things about the Raspberry pi is all the home made projects you see people working on, I came across this project last night and just love what the owner of this Rasberry Pi has done with it. 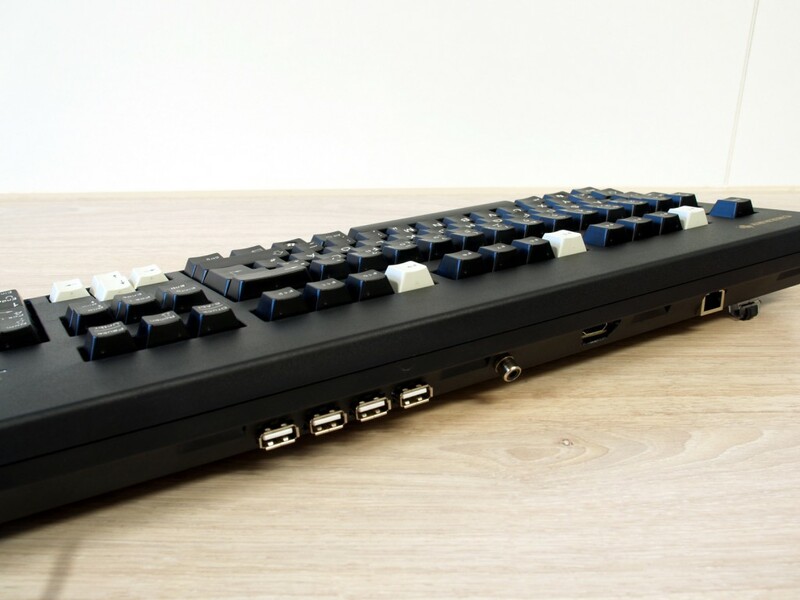 Yesterday I posted about a classic Computer the Sinclair QL and well this Raspberry PI project has managed to mix the retro 1980’s computer look with the bang up to date development board systems just like the Pi. Looking at this project its very clear just what creative things can be done with any of these development boards by having a little fun with them. “When I read about the Raspberry Pi in the Elektor magazine for the first time (in 2011), it was immediately clear to me that I’d need such a thing! After a long wait for the project to be finished and another couple of weeks ’til the ship from China arrived, I’m now a lucky Raspi owner. After the first playing around I was looking for a case to make some more serious use of it as a computer. Or do you like to carry a pile of cables, psu, keyboard and a little, naked PCB around for working with…? The solution to this was literally lying in front of me on the desk: The keyboard! To be more precise: the best keyboard in the world, a Cherry G80-3000. You could even use it to nail something on the wall if you were in dire need. So it provides a sturdy case which is conveniently spacious and mostly empty. The Cherry is indeed almost twice as expensive as the Raspi itself, but such a team could easily last as long as the venerable Commodore 64 and work just like new after 30 years. Furthermore there’s not much you have to do to modify the case, which makes it appropriate for just about anybody who’s able to cut some holes into plastic. 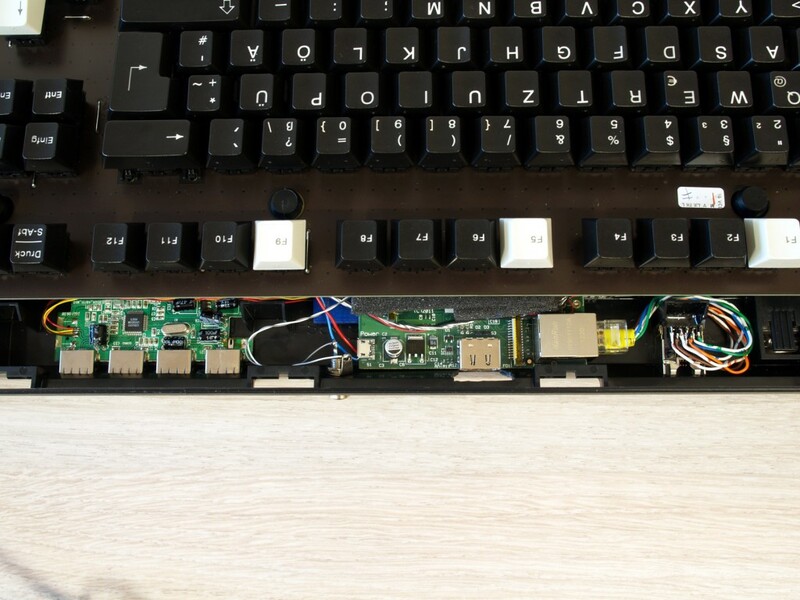 I decided to put the Raspi in a position inside the keyboard which makes it possible to access the HDMI port from the backside, since this is the connector which is the most difficult to extend. This position leaves me with all the other connectors on the inside of the case, the SD-card included. IMHO this is not bad at all, since the SD card is the hard disk of the computer and this way it can’t get lost. Admittedly this makes experimenting with different distros more difficult, but I’ll have another Pi for that purpose ;). All the other connectors (except the audio jack…) were extended to the back of the keyboard with their appropriate connectors. I pre-drilled all the holes and cut them into shape with a simple trimming knife. Doesn’t look that neat, but hey – it’s on the back side, so I won’t see it most of the time. The RJ45 socket was simply glued to the bottom of the case with Pattext contact adhesive. For additional stability I filled the void behind it with epoxy so it won’t be possible at all to push it back into the case. For the connection to the Raspi I stripped a standard patch cable. I didn’t want to unsolder the original connector, since it contains the necessary magnetics and I was afraid I could accidentally ruin it. To fit the Raspi board inside I had to unsolder the USB and RCA jacks, though. Then I cut away some excess plastics from the bottom case and made the hole for the HDMI connector. The same was done with the USB hub, which was then directly soldered to one of the free ports on the Raspi-board. The keyboard is soldered to the other one – internally, of course. This leaves me with the original keyboard USB cord as a “power cord”. Together with a smart TV set you only need a HDMI cable for a complete PC. Apart from that one could use a wall wart with USB socket as external power supply. Since the Raspi has no mounting holes, it is simply lying loosely in the case. This way it remains easily removeable, should you need to change the SD card. It does fit quite well, so there’s virtually no movement of the board, except a little to the top when connecting a HDMI cable. To prevent this, I put some foam between the Raspi and the keyboard-pcb. The USB hub was fixated with some double-sided adhesive tape (the thicker one with some foam inbetween). 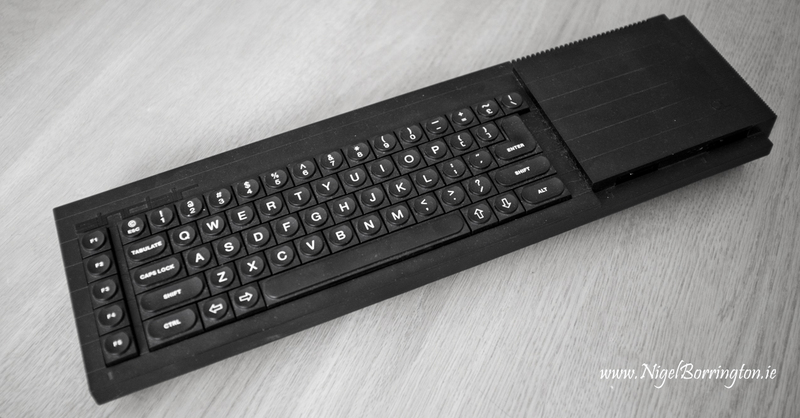 This entry was posted in Raspberry pi and tagged Computer hacks, Nigel Borrington, Raspberry pi, Raspberry pi projects, Retro computerr projects, Sinclair QL. Bookmark the permalink.